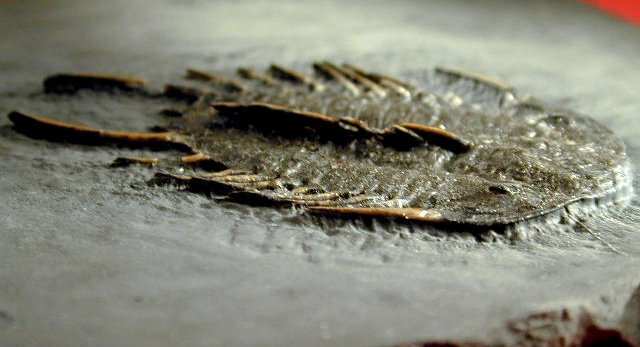 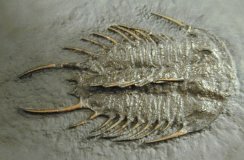 Olenoides nevadensis is at once very rare and more spinous than most Cambrian trilobites, as can be seen by the needle-like axial spines and similar pygidial spines. 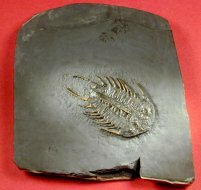 While from a formation (Marjam Formation, Milliard County, Utah) that yields abundant trilobites, you very seldom see this species. 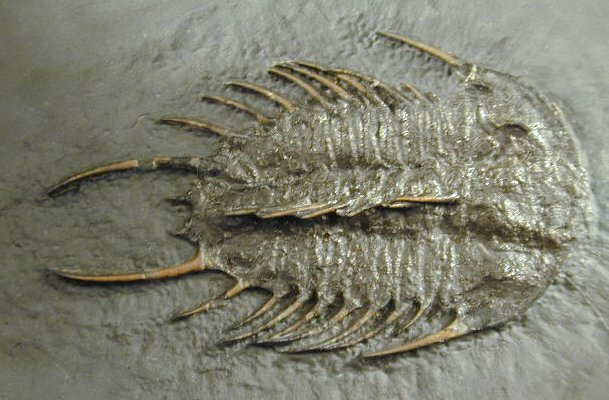 This specimen, at 50 mm, is both large and much better preserved than most, with the axial spines in high relief.